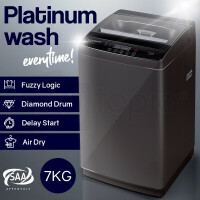 Looking for the perfect washing machine for your family? Keen to cut your energy cost and water bill? Carson's fully automatic washing machine is the answer to your problem. Featuring a classic platinum finish and contemporary design, this item will surely be a great addition to your place. Carson's top load machine is perfect for any family size as it has a large washing capacity and an adjustable water temperature to accommodate all types of clothing. Equipped with an easy to use digital control panel, you can choose from any of the six fabric-friendly wash programs to suit the washing variation that you desire. 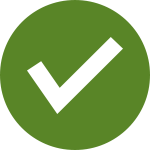 Have an important event to attend to? Worry no more. This washing machine has a stop/pause feature, thus, allowing you to choose a more convenient time to continue and finish your laundry. Save time and money. Carson's washing machine has an air dry spinning cycle that reduces clothing dampness and lessens your drying time. Maintenance will not be a problem. It has a highly accessible lint filter as well as a tub wash function that cleans the internals after use. Worried about the safety of your kids while your machine is powered on? Rest well and let this one do the trick. Equipped with a child-lock function, elderly, frail and children will be protected from accidentally getting hurt while it is in use. Feel better and have a fresh new look today. 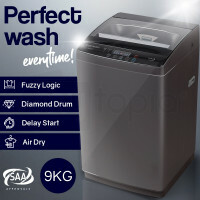 Pair this spacious top load washing machine with any of the Carson's Compact Clothes Dryer and get your laundered clothes ready to wear in no time. To accommodate all fabric types, these dryers offer five drying combinations to help your drying tasks completed in the most efficient way possible. Upgrade your washing area. Purchase any of these machines now and get a 12 month warranty on us!